We deliver advanced and innovative IoT applications combining our expertise in IoT Cloud platforms, Artificial Intelligence (AI), Machine Learning (ML) and Blockchain technologies. We leverage the most efficient communication technologies and platforms and work with “things” such as controllers, sensors, actuators. We deliver advanced and innovative IoT applications combining our expertise in IoT, DevOps, AI & ML, Blockchain technologies. We provide services from startups to Enterprise level companies helping in building strategy, design, engineering solutions, Proof-of-Concepts. Connectivity between ‘things’ and cloud platforms for secure and guaranteed data delivery & edge computing. People, industrial equipment, sensors and actuators, all types of vehicles and/or mobile devices. Integration with private and public platforms, utilizing Blockchain (if applicable). Dashboards and interfaces, including AR/VR-based ones, which deliver actionable data in real time. Advanced data processing. We offer Big Data, Streaming Analytics, Machine Learning based solutions. We design new IoT solutions to enable industries to be called SMART: retail, healthcare, telecom, industrial automation, insurance, oil & gas, logistics, automotive, etc. We work with Big Data & implement Streaming Analytics, Machine Learning, Blockchain platforms, AR, CRM & BPA systems to increase the outcome of IoT projects. 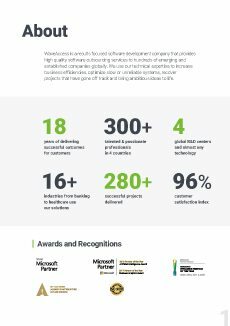 Microsoft Award Winning trendy IoT & machine learning app for e-commerce. 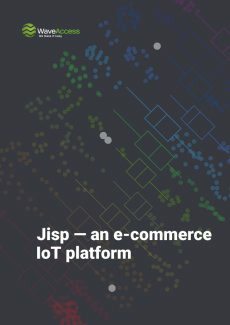 Jisp is a content discovery engine that allows users to find products from the favorite stores. It collects and saves search histories, captures a customer’s behavior within shopping centers, monitors user’s activity, and more. 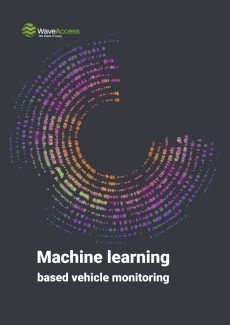 Empowered by machine learning technologies, vehicle data is used for reduction of collisions. This subsystem detects anomalies in vehicles’ routes and alerts the dispatcher in time, winning time to make a decision to correct its track. 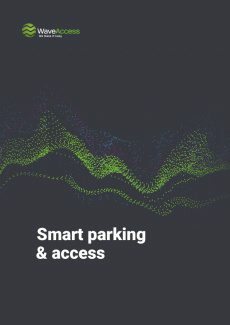 Innovative and convenient parking and access management system with possibility to open any gate/door/barrier with smartphone for a startup company. Unlike the other teams WaveAccess just got the job done! No problems or hassles. They could been working in the office next to me and things would not have been smoother.